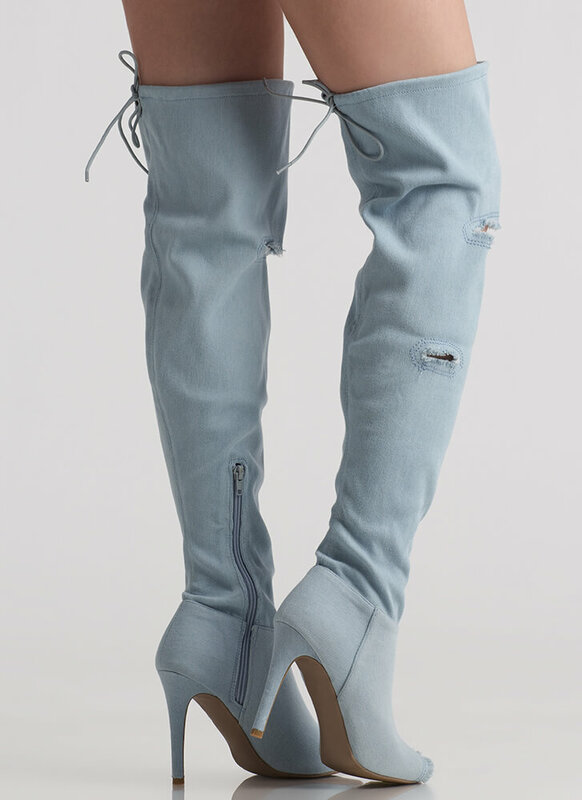 Nothing's better than fresh fringe, whether it's in your hair or on these boots! 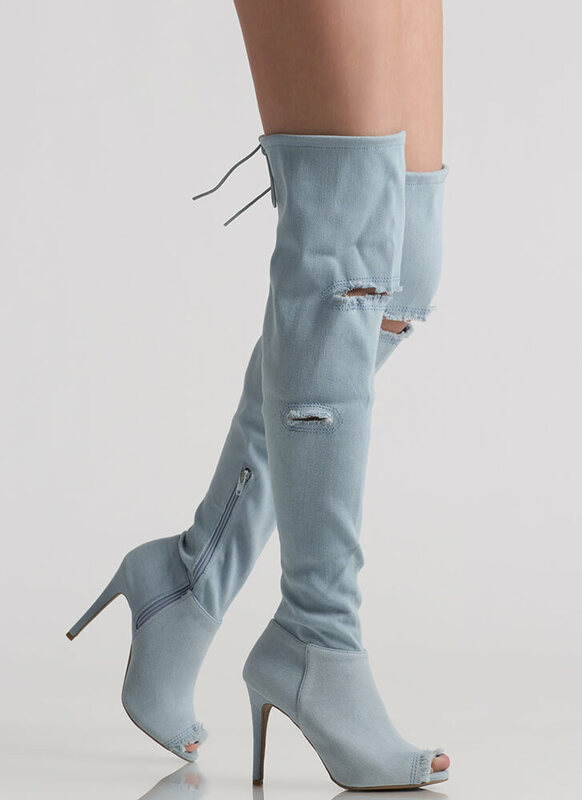 Over-the-knee denim boots feature a drawstring opening, a fringed peep-toe, and two distressed details -- a large cut-out and a small slit -- with frayed edges and stitched accenting. Shoes are finished with a stiletto heel, a ridged sole, and a side zipper for easy on and off.